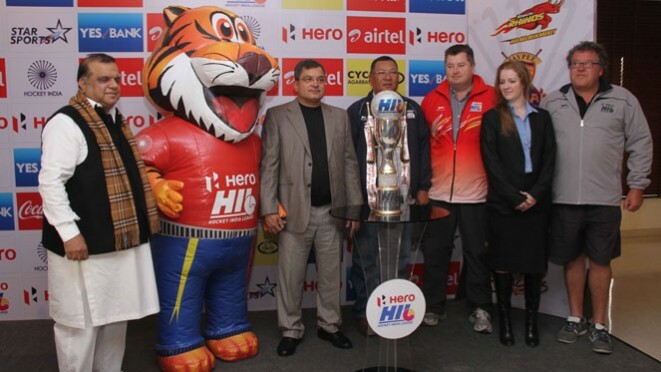 New Delhi, 23 January, 2014: Hockey India today unveiled the charismatic trophy & Mascot of Hero Hockey India League Season 2 in New Delhi. The glittering trophy to be awarded to the winner of Hero Hockey India League and median brand mascot were unveiled in the presence of Dr. Narinder Batra, Chairman, Hero Hockey India League. The stunning masterpiece of trophy seems like a crown embedded with Swarovski at top and bottom with two beautiful golden Hockey Sticks on both the sides. Taking this excitement to higher level, new mascot named as ‘Gaurav’ meaning Pride, has been introduced to add new & refreshing chapter to the trajectory of Hockey India League. This eye-catching mascot is designed to arouse the interest for Hockey and to connect all hockey fans with the game in a completely redefined manner. He further added “The participation of Hockey players from across the world in the second edition of Hero Hockey India League will not only present the great sporty show to Indian Hockey lover but it will also highlight of contrast of Indian Hockey to international fans”. After receiving the overwhelming response in the inaugural season, the second edition of Hero Hockey India League is about to kick off from January 25th to February 23rd 2014. The league will be played across Delhi, Mumbai, Mohali, Bhubaneswar, Ranchi and Lucknow. The player from 11 different countries comprising renowned Olympians will be participating in the tournament to showcase their talent and skills. The Hero Hockey India League will comprise of 30 league matches followed by 2 semi finals, 3rd/4th place playoff and a grand finale. 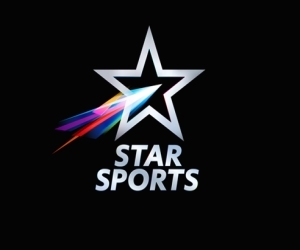 Star Sports, Broadcast Partner of the Hero HIL will telecast all the matches live. HIL is something I look forward to every year. It’s amazing to come back to India, to amazing fans, to Punjab Warriors and to Hockey.